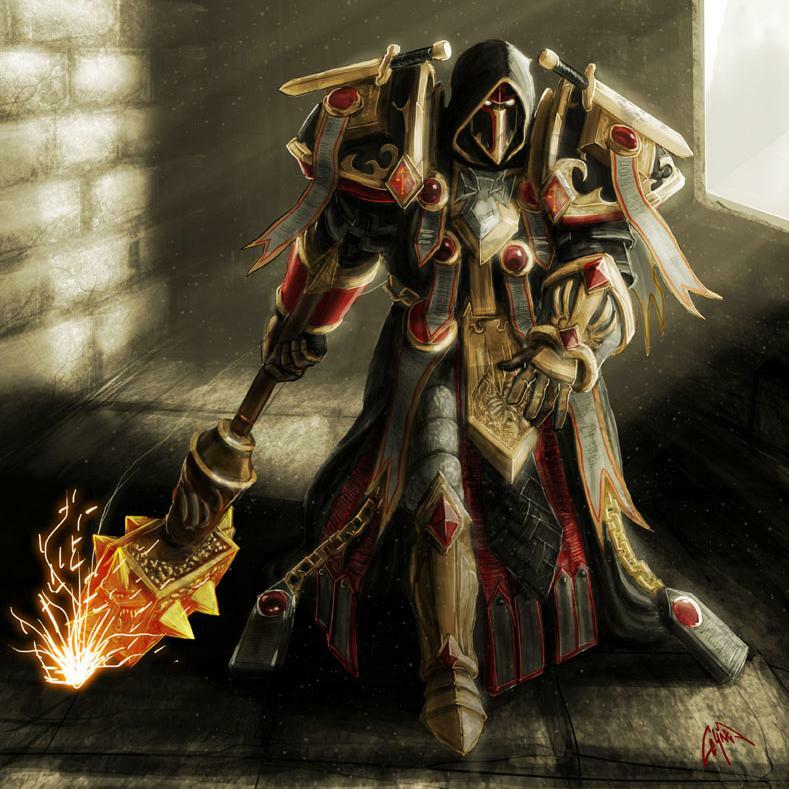 Hi, I'm a GM, and I'm about to start a campaign with the Legend system. I've been looking at the rules for wedges, and for the life of me, I cannot decipher the wording of the rules. Am I an idiot, or is the wording as confusing as I think it is? I was under the impression that the wedge starts from the source square (either the square you target or the creature/player it comes from), then you choose a non-diagonal direction. This direction is Direction 1 (D1). You then choose Direction 2 (D2), and the the wedge is then a Diagonal Wedge, where the aim is centered between the D1 and D2. If you choose another direction, Direction 3 (D3), then it becomes a, Orthogonal Wedge instead, where D1 is the center, and D2 and D3 are the left and right directions of the spreading wedge. The part I am most confused about is the fact that you have to choose a vertex instead of a side of the source square. I need some hand-holding from this point on, as for some reason I just can't wrap my head around this part of the rules. I think I understand how it works with the Diagonal Wedge, as the corner you choose erupts into the first square of the wedge. I'm confused by the fact that the Orthogonal Wedge has two squares in the beginning of the wedge. Is the line between those two square, and the vertex at the very edge, connected to the vertex of the starting square you choose? If this is the case, then I think a minor edit to avoid possible misunderstandings in the future would be to add a small dot to represent the source vertex of the wedge on the supplied wedge templates on page 335. Thank you for reading. A wedge never starts from a square. The effect creating the wedge may originate from a creature or square. If a creature, then the wedge originates from a square the creature occupies. Then pick a vertex from the origin square to calculate the wedge. 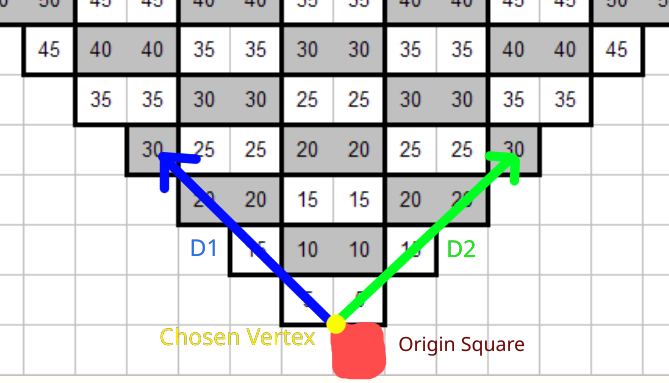 There's never a D3 and the origin square is not included in the wedge's area. If your D1 is East, then D2 must either be North or South. That's a diagonal wedge. If your D1 is Northwest, then your D2 must either be Northeast or Southwest. That's an orthogonal wedge. The wedge affects all squares through which D1 and D2 are drawn. That's why the orthogonal wedge "starts" with two squares - neither of those is the origin square and the lines originate from the vertex if the square behind and between them.